4 Stage Osteoarthritis (OA) Shoulder Model set of four shoulder models, reduced size, illustrating degenerative joint disease (osteoarthritis) of glenohumeral joint: erosion to joint articular cartilage, progression of degenerative disease, osteophyte (bone spur) formation at the articular surfaces, and humeral head flattening. 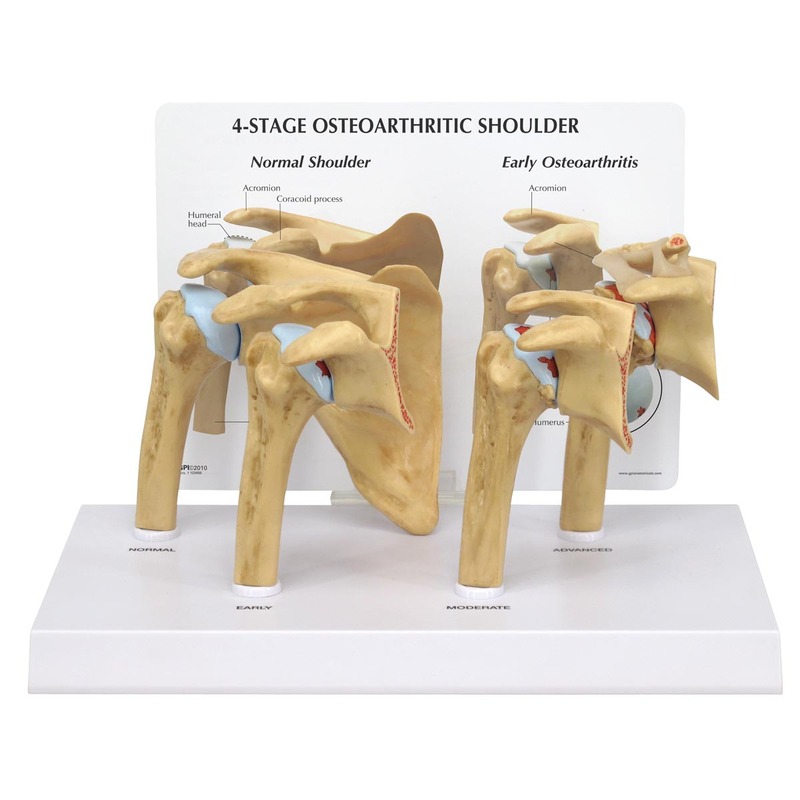 Normal stage includes a full scapula. 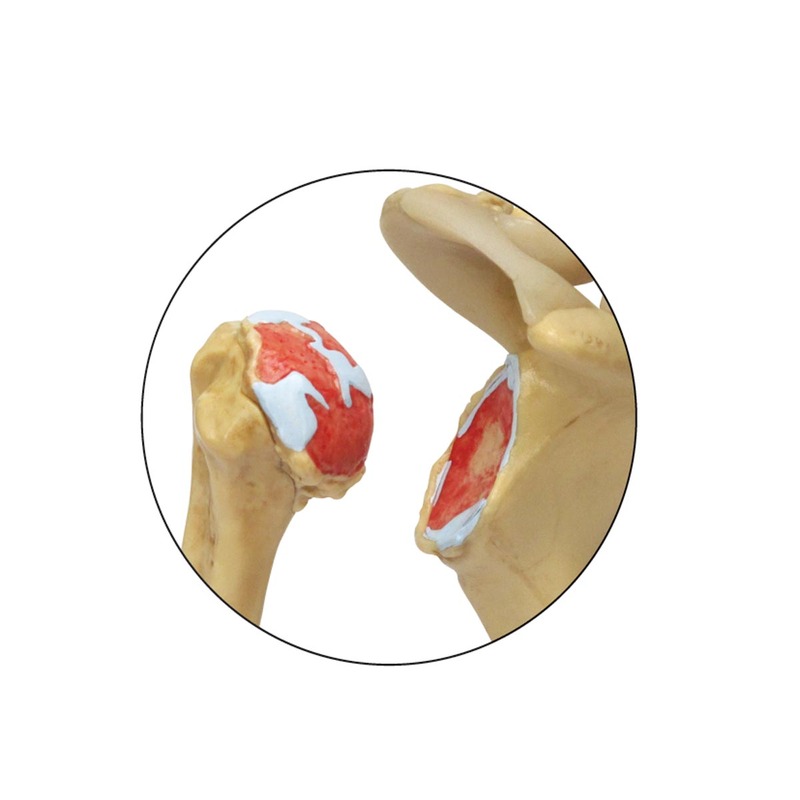 Advanced stage shows acromioclavicular joint osteoarthritis and ligaments. Model size: 4.5 x 2.1 x 4"